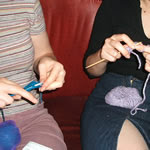 The Kniterati is a knitting and book group meeting at I Knit London every month for some knit, chat, cake and more. No need to register...just read the book and turn up to have your say. Now, via this blog, you can also take part wherever you are in the world! This month we're discussing Alan Alda's Never Have Your Dog Stuffed. If you can't make it to the group in person then read along and post your own thought son the book after the get-together. If you are a member of the Ravelry Kniterati Group you can also now take part in a live chat using the group chatroom! To take part just read the book and turn up on the night (or leave comments here on the blog). Don't be shy and don't forget your knitting! ...but don't fret if you can't make it. Now you can still take part even if you can't come along to the monthly meetings (you'll miss out on the banter and the cake though). Just read the book and post your own comments after 2nd June to let us know what you thought. 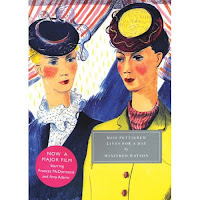 The book for May was Watching the English by Kate Fox. 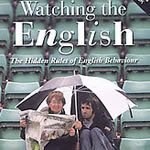 "In Watching the English, Kate Fox takes a revealing look at the quirks, habits and foibles of the English people. She puts the English national character under her anthropological microscope, and finds a strange and fascinating culture, governed by complex sets of unspoken rules and Byzantine codes of behaviour. Her minute observation of the way we talk, dress, eat, drink, work, play, shop, drive, flirt, fight, queue – and moan about it all – exposes the hidden rules that we all unconsciously obey." The group is open to all - just read the book of the month and turn up to let us all know what you thought. There's always a few new faces so don't be scared to take part. As we know there are many knitters who can't make the actual meetings, and sometimes some folk who read the books and then can't come along so we'd like to use the blog as a way for you to get involved too. So, we'll be posting details of all the books on here and you are welcome to join the discussion (although we'd request not starting your comments until after the meeting, please!). Now you can get involved wherever you are in the world. So, feel free to join in! As you can see from the list of books we've been reading since 2007 there's a good mix of genres and styles, from classics to contemporary authors....we look forward to discovering what's to come at the Kniterati.